Knesset approves first reading of the Budget Law for 2015-2016. Opposition angry due to absence of PM and Finance Minister. The Knesset on Wednesday evening approved the first reading of the State Budget Law for 2015-2016 and the Arrangements Law, following a long day of discussions. 57 MKs voted in favor of the budget, and 53 voted against. The budget now will be transferred to the Knesset’s Finance Committee, which will prepare it for its second and third readings. The opposition was outraged over the fact that Prime Minister Binyamin Netanyahu and Finance Minister Moshe Kahlon were absent from most of the discussion on the budget, and had asked Deputy Finance Minister Yitzhak Cohen to conduct the debate on behalf of the coalition. At the same time it emerged that Economy Minister Aryeh Deri and Kahlon had been trying to reach last-minute understandings regarding Shas’s long-standing demand to apply the Value Added Tax (VAT) on basic commodities. A senior member of Shas explained that Deri expressed anger over the fact that the VAT issue had not been finalized with Kahlon, despite the fact that it had been decided upon during a cabinet meeting on the budget. Following the discussions, Deri ordered Shas members to vote for the budget in the first reading and, if the cancellation of the VAT for the disadvantaged population is not finalized by the second and third readings, Shas would not support the budget. Meanwhile, Yisrael Beytenu chairman Avigdor Liberman blasted the budget during the discussion, and continued leveling accusations at Netanyahu, as he has done several times on several issues over the last few days. "The one who is to blame in this budget is the Prime Minister, who does not know how to make decisions, but only talk and babble. A Prime Minister who does not know how to make decisions and implement them, should resign." "All these indicate that they sold us all for the benefit of extortion by the coalition factions. Extortion which helps certain sectors while ignoring young couples, the periphery, job creation and wage increases for someone trying to make a decent living," said the statement. The budget for 2015 will stand at 329.5 billion shekels and the budget for 2016 will be 347.7 billion shekels. 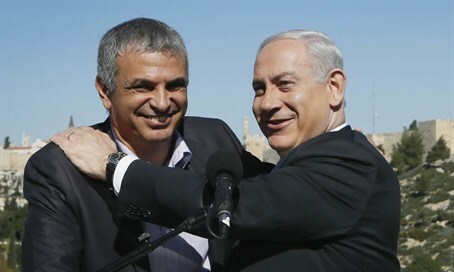 According to Kahlon, the budget is based on equitable distribution of national resources, solving the housing crisis and reducing the cost of living. The Treasury said that the budget a significant additions in budgets of social ministries, which are reflected in the increased budgets in education, health, welfare and personal security.